A few days’ hike from the nearest city, through Papua New Guinea’s dense, lush forest lies the remote village of the Maliyali tribe. For decades, the Maliyali chief mailed letter after letter, begging for missionaries to come and share “God’s Talk” with them. They knew there may be a God who is real, who loves and cares for them, but they did not know the story. They had no knowledge of the intimate details of who God is, what he does and how he chose to redeem them. In California, David and Emily knew they were called to go to where the Gospel was not yet preached. They partnered with an agency that is focused on Biblical translation and church planting. David and Emily were presented with the Maliyali, a people desperate for the story they were so ready to give. For two years, they prepared to be uprooted. They sold all their belongings. They raised personal support to cover the expenses to move and build a new home. The one, insurmountable weight they could not lift— thousands of dollars in student debt. David has a degree in theology and is geared with the skillset necessary to translate scripture into a language that has never been written. Emily's degree is in kinesiology and she is trained to give others physical care and advanced knowledge that provides healing. Both were tied and bound to future decades of loan repayment. The tribe’s future was still uncertain. Through The GO Fund Champions, God prepared a way for David, Emily and their two children to build a home among these people. They were the first family accepted as partners of The GO Fund and they are there now, sharing God’s Talk with their new family. Their new way of living comes at a cost. Emily has wrestled with debilitating stomach pains intermittently during their time. Their young daughter has suffered on-and-off again with different viruses and illnesses. 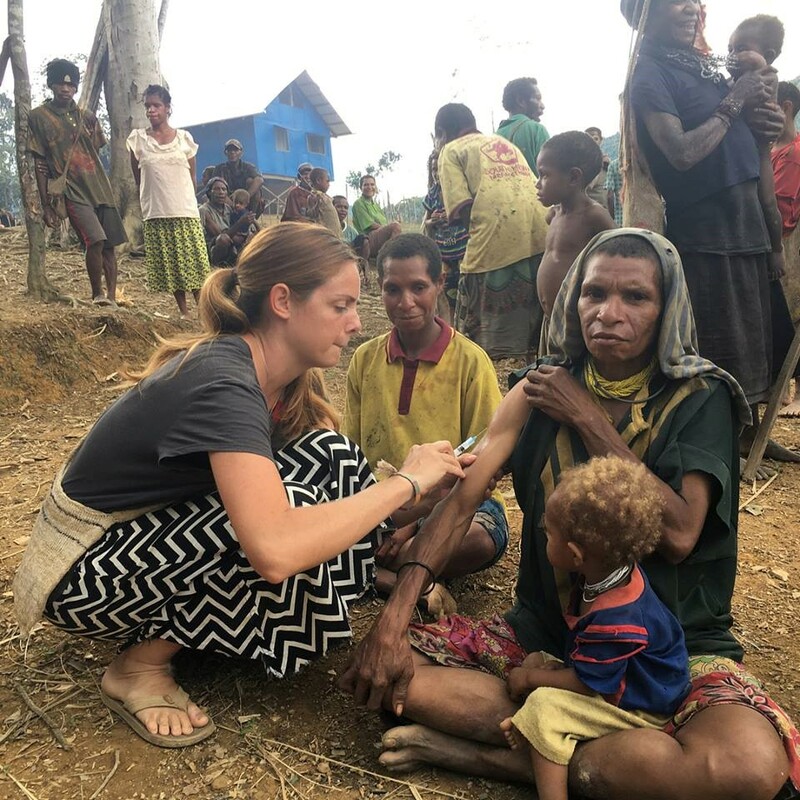 The family was recently taken from their jungle home to the closest medical clinic when she was unable to shake a fever after several days. The life they are finally able to lead is not a glamorous one, nor easy or popular. It comes with pain and uncertainty. However, they have experienced great joys and triumphs as well. For the tribe they have come to know and love? For them, there is no more waiting. There are no more unanswered letters – only God speaking through his servants as he calls many more into his kingdom.